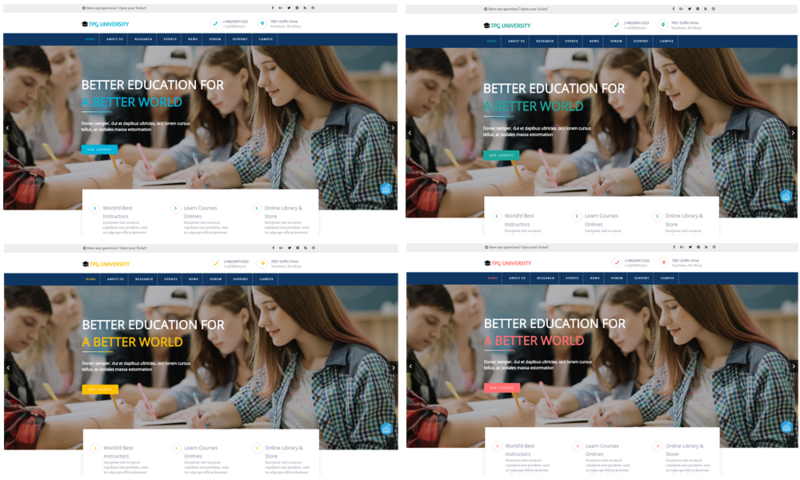 Best Free Education WordPress theme builds with Genesis Framework, community forum supported by wpForo Forums, Responsive Layout, Easy to Customize! Come with elegant but still modern design, this University WordPress theme is completely appropriate for schools to promote reputation, update latest information of admission announcement, enrollment data, athletics, tuition, academic majors, financial aid and more. 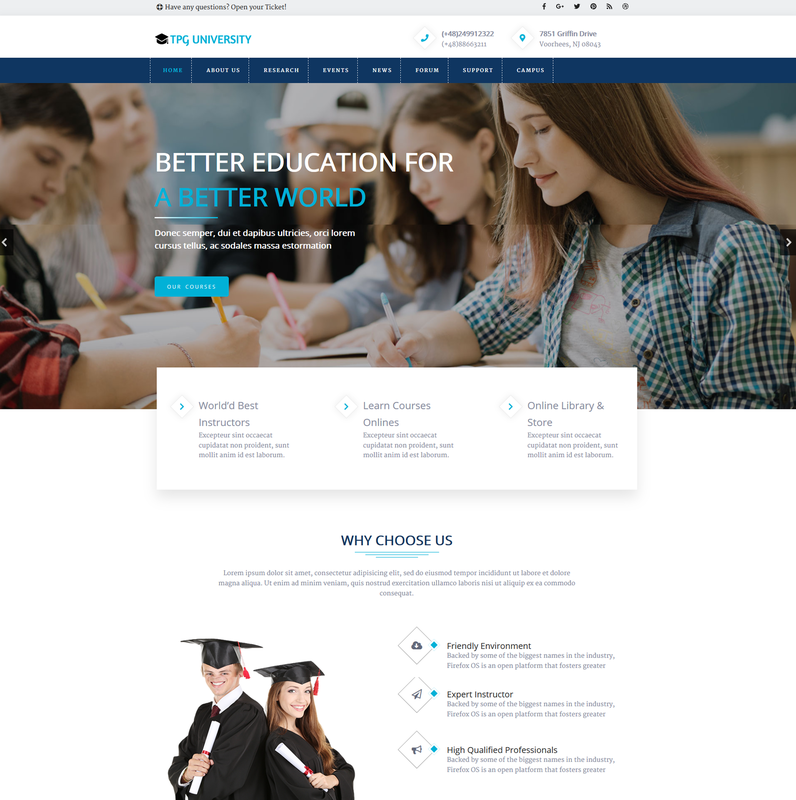 TGP University is a premium WordPress theme which is specially designed for schools from kindergartens, primary to high school, university and college, as well as any other educational centers. TGP University has been designed by experienced developers based on the most modern web technologies, with a grid structure and high-quality images for making great content organization, therefore, your site will be really eye-catching and attractive to students and visitors. As a featured WordPress theme, this theme is equipped with all essential utilities for serving learning and teaching purpose, such as Forum, Events, Search Knowledge Base by Keyword, Ticket Support, and more! Bringing to you a highly responsive layout, your site will perform its best on any mobile devices, with well-organized content. The entire theme is fully customizable and you can manage it easily with a powerful admin panel. There are many interesting features which are waiting for you to explore, let’s come and take a look at Live Demo now!